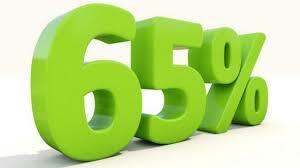 If your child is in school today, this is a percentage you should be keenly aware of. No, this is not the new passing grade. No, this is not the mark they need to get into university. 65% represents the percentage of students in Elementary School today who will be working at a job that doesn’t even exist yet. Most of us as parents have seen jobs that have disappeared. For my parents, it was the iceman, the milkman, and the elevator operator. For me, it was the record store clerk, the video store, Caboose men, and mailpersons are being replaced by Superboxes. Now, our children face an even more rapidly changing world where jobs are becoming obsolete and exciting new jobs are being created at an unprecedented rate. 2 out of every 3 children will eventually be working in a job that does yet exist. Changes in technology (like 3-D printers, nanoscience, space travel, etc.) and a changing global economy (ripe with entrepreneurship and innovation) are fueling these rapid changes. How do you educate someone to do a job that doesn’t exist? Not the way we have been doing it for the last 120 years! Simply inundating students with knowledge is no longer sufficient to create the leaders, the entrepreneurs, and the life-long learners that will produce happy, engaged adults in this brave new world. Our students need to know the importance of leadership – not simply being the boss but what it means to be a true leader in your business, your family, and your community – and be given the necessary skills to become the great leaders we need. Our students need to have a new mindset that values not just knowledge but creativity, innovation, and the desire to use knowledge in new and exciting ways. Our students need to be taught the skills that will prepare them for a life that requires them to be solution oriented. They need the entrepreneurial mindset that sees challenge as opportunity for growth, financial return, and to serve the better good of the world. Our students need to be ready to consciously create their own lives, forge new paths, see new possibilities, and face the ever changing world with a positive attitude. They need the self-discipline, self-esteem, and confidence in themselves to know they have the ability to solve any challenge that faces them. Our students need the Real Life Skills that will propel their life forward, make learning easier as they face newly created jobs, set and achieve goals through careful planning, be financially savvy to create and keep wealth, and possess the emotional intelligence to be successful in their personal and professional relationships. Now is the time we must better serve our youth to ensure their future success. At Riverbend Academy, we have adjusted our curriculum to ensure that all these skills will be available to our students. Our students will obviously graduate with the knowledge they need but, more importantly, they will also have the mindset and skills to use the knowledge in new and unique ways. They will also have the ability to more easily learn the new skills and the knowledge they need for the upcoming jobs they will enjoy in the coming years. Finally, they will have the confidence, self-esteem, and critical thinking abilities to make the best possible decisions as leaders of the future.